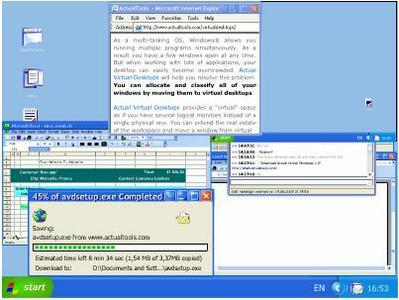 As a multi-tasking OS, Windows® allows you running multiple programs simultaneously. As a result, you have a few windows open at any time. But when working with lots of applications, your desktop can easily become overcrowded. Actual Virtual Desktops will help you resolve this problem - you can allocate and classify all of your windows by moving them to virtual desktops. Find the most productive way to work in Linux. Linux: Desktops and Remote Access covers the most popular desktop environments, terminal emulators, and shells used to access and administer Linux systems, both locally and remotely.